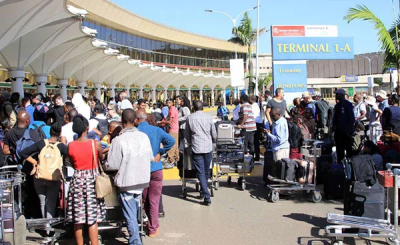 The planned take-over of the airport by Kenya Airways on a joint partnership with the Kenya Airports Authority, is the reported reason for the strike action by workers who belong to the Kenya Aviation Workers Union. 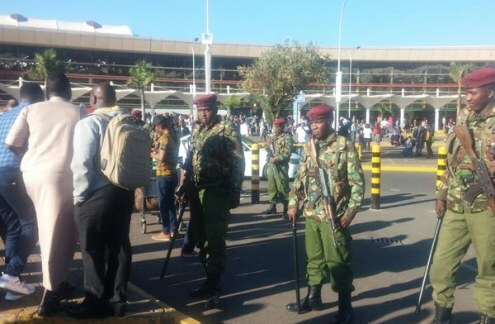 There is a heavy police deployment at the airport. 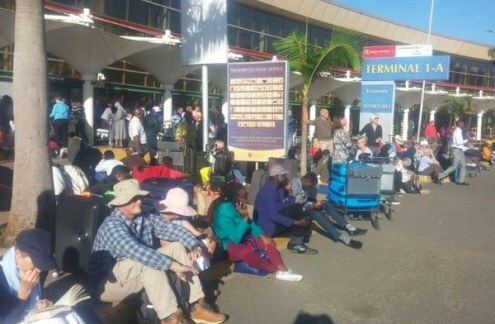 Stranded passengers at JKIA. 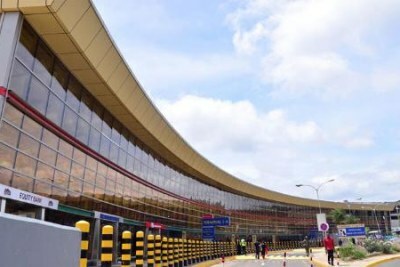 Gatundu South MP Moses Kuria was among those affected by the strike. 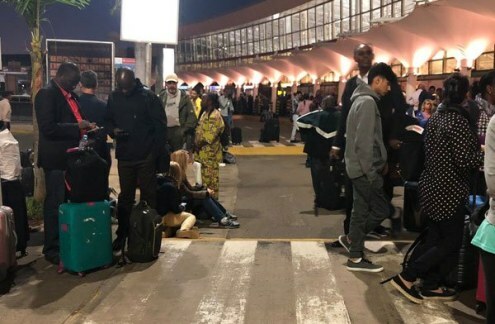 Stranded passengers at the Jomo Kenyatta International Airport on March 6, 2019.